In ancient people travelling across the sea will take along some mangoes to relieve the seasickness. This is mainly because mango can tonify stomach, control vomit and relieve dizziness, besides the pulp of mango has a good efficacy of relieving vomiting during pregnancy. A research also showed that mango can decrease the risk of developing lung cancer. A study found that mango contains mangiferin (also called Chinonin) which can inhibit proliferation of cancer cells, inducing death of cancer cells and blocking their division cycle, so as to fight against cancer. In addition, Benzopyrene is a common air pollutant from automobile exhaust and some industrial pollutants, which is one of the possible causes of lung cancer. While the mangiferin can prevent Benzopyrene from inducing cancerization of lung tissue, it plays an important role in prevention of lung cancer. In addition, a research showed that tannic acid with bioactive components in mango can prevent and inhibit the growth of cancer cell. 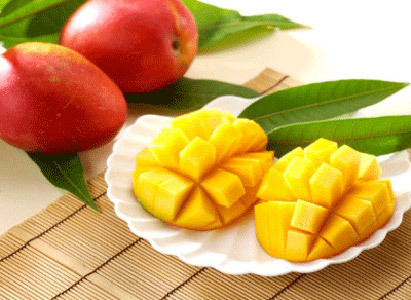 Tannic acid is a kind of polyphenols extract, while polyphenols can break the division cycle of cells, which is the possible mechanism that mango can prevent or inhibit cancer cells. Mango is not only rich in nutrition, but also can beautify skin, prevent hypertension, arteriosclerosis and constipation, control cough, clear intestines and stomach. But mango is kind of heat fruit, so it should not be taken more than 200 grams every day. And mango peel contains stimulating substances, so avoid directly touching it by mouth when eating. In addition to mango, the specialists of Modern Cancer Hospital Guangzhou remind cancer patients that there are many other things in daily life can also prevent cancer such as optimistic and open-minded personality, diet diversification, no food preference, when eating chew carefully and swallow slowly, no excessive fat intake and eat more fresh vegetables, besides, no exposure to a burning sun.